them an opportunity is available known as Santoor Scholarship. Wipro Group has taken responsibility to deliver Santoor Scholarship Programme with the intention of offering the tuition and other incidental expenses related to education. Santoor Womens Scholarship for Underprivileged Girls intends to support 900 students for the entire duration of their course in AP, Karnataka and Telangana only. Santoor Scholarship is an updated Scheme for Talented Girl Student so that they may continue high level studies by getting requisite amount of money from the Santoor Scholarship. All the eligible women aspirants are advised to check the content to submit error free online form for this chance of scholarship. Total connectivity in relation with Santoor Scholarship are given below in association with Online Scheme for Talented Girl Students, eligibility norms, process to fill online application form etc. Deserving students are suggested to tune with this portal for remaining details for this news. 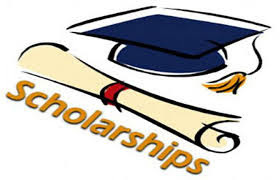 Scholarship Amount: Shortlisted students will receive Rs. 24,000 per annum scholarship till the completion their course. Students are permitted to utilize the scholarship for tuition fees or other expenses incidental to education. Have enrolled for a full time recognized diploma/graduate program, of a minimum three years. Selection Process: Selection for Indian Students will be based on the qualification of the students. Eligible appliers have to go for filling Santoor Scholarship Form by pressing “Apply Online Now” link. Registered users have to go for “Login” while new users need to press “Registration” link. Candidates have to submit Santoor Online Form and hit “Submit” tab. Such candidates who want to apply through offline mode thay may download Santoor Karnataka Application Form also. Fill this form according to the given instructions. It is necessary to attach all asked documents and send complete form to the given postal address on or before the last date.